I have been concerned about this too. Have you just put this wheel back on ebay as a new listing has the same pictures ?? No it's not mine. Mine is sitting snugly in the spare wheel well of my car. However I think I did see the add your talking about but didn't notice the pictures were the same. Thought they were similar but not the same. Driving round Europe in the summer and like the guys and gals here didn't fancy doing 2500 miles ish without a spare wheel of some sort. So onto EBay and got a 17" alloy from a 407 with a 215/55/17 tyre. This is only about 2.5mm less in overall diameter than the 19" tyres and unlike a spacesaver, allows you to get on your way at more than 50 mph. Also bought an insert for the spare with jack etc included. Ok, so it will only fit the rear but so what? The cost? Well I've saved nearly £500 by going down this route instead of a 19 incher. It has the same offset (45) and same bolt pitch (108) as standard. Sorted!! Enjoy the smiles and miles. Keep safe and keep detailing. Here you go! I think this is the best and cheapest solution to the spare wheel dilemma. 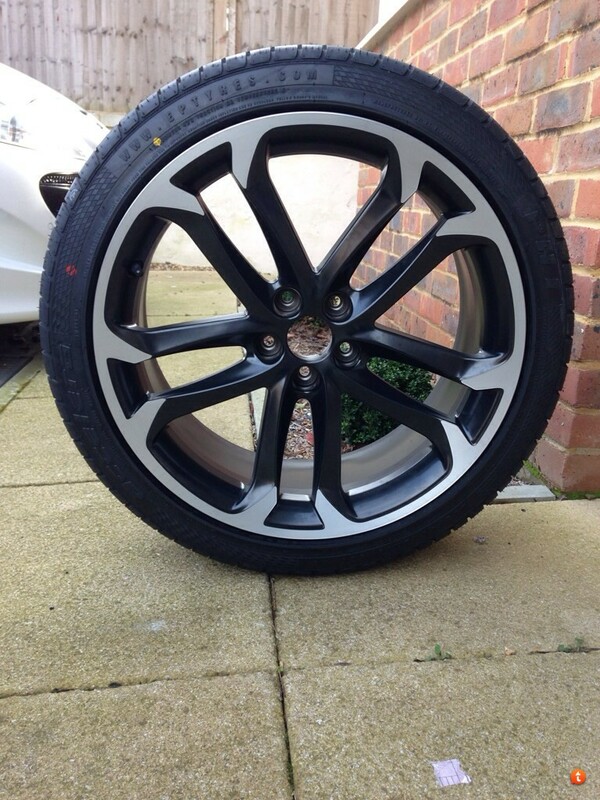 17" alloy off a 407 + 215/55/17 tyre. Scissor jack and foam insert from same model. The jack fits perfectly. The wheel bolt holes are the same pitch as the 19"s and the bore is 65.1mm which is the same as well. 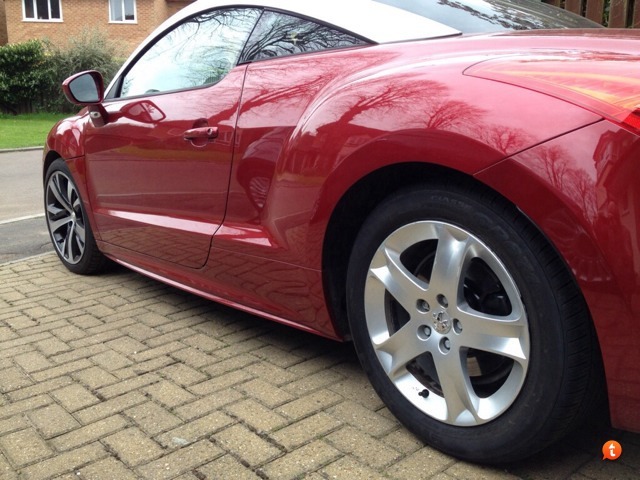 I've just bought an RCZ and pick it up on Thursday. 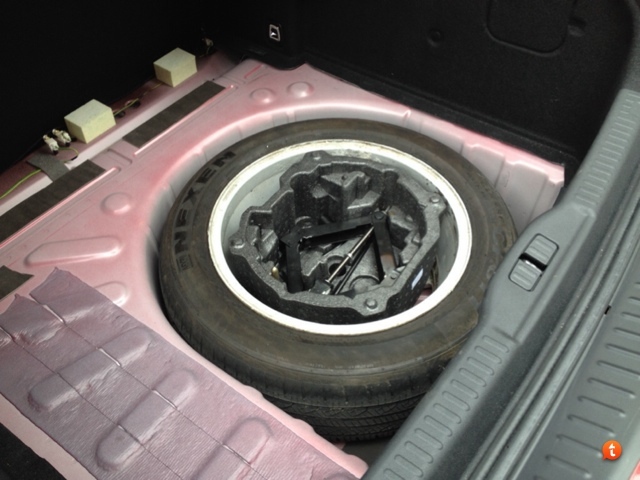 I mentioned to the salesman that I'm going to get a Peugeot 407 spare wheel for it and he said that he heard of a case where a woman put a spare wheel in her car that was supplied without one and it invalidated her insurance when she had an accident because it counts as a vehicle modification. I know this sounds slightly ridiculous - especially as I think the RCZ has a wheel well so is presumably designed to carry a spare if required. Does anyone know, please, if this is the view taken by insurance companies? I guess I could ask my specific insurance company but I don't want to draw their attention to the matter. I'm an old fashioned bloke who wouldn't drive around without a spare so I will do it anyway and just chuck it over the hedge if I smash into something. That a scary suggestion, as a lot of us have spare wheels now. Mine was supplied by Peugeot UK. So where does this leave us? Sounds a little bit like gossip and misinformation to me. Ruffer splitters, BOSE speaker upgrade, custom seat badges. Since my last post I have revisited the one ref jacking points. I think should I ever have the misfortune to get a puncture I will call the R.A.C to change the wheel. Then I have someone else to blame if the is any damage. 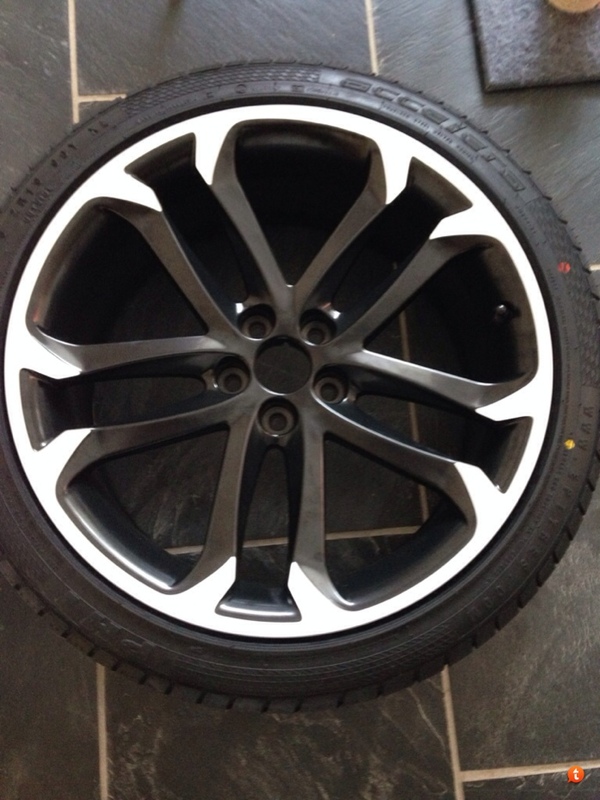 Spare 19" Solstice alloy for sale, with tyre. No kerbing - this was purchased from a Peugeot dealership and I believe is a refurbished unit. 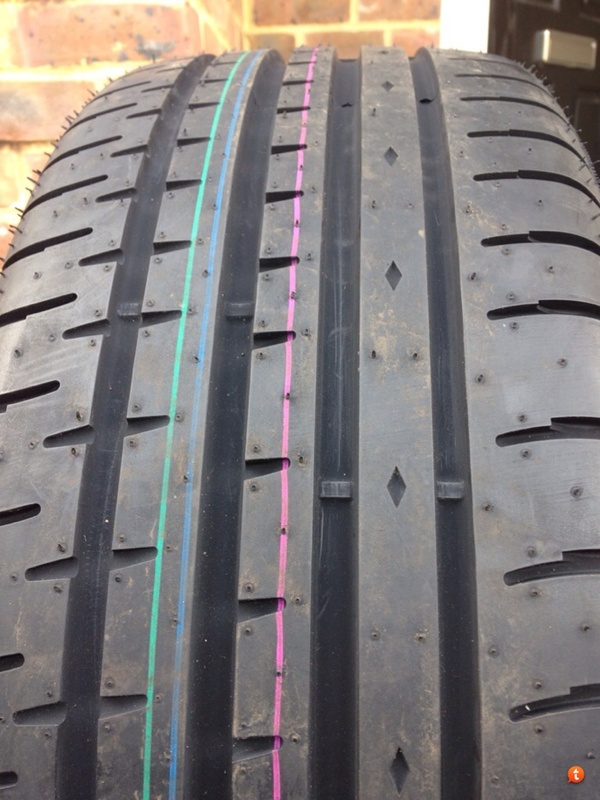 Accelera tyre has full tread, never had to use so as new. Will fit in the wheel recess in the boot. Open to offers - will eBay it if nobody on the forum fancies it. Weekday - High Speed 1. Weekend - Pearl White RCZ GT with Onyx Black Solstice alloys, feline kit, NG4, K&N air filter, tinted rear 1/4's, LED DRL's/interior lights, Phillips Extreme Vision and private plate. Dodgy car parks - the missus' Black Fiesta MK 7 Tdci Zetec S w/Street Pack. HI again My brain just engaged again. A 19 inch with a new tyre will properly not fit in the well. Mine is a snug fit with the part worn on.